The House and Senate are wrapping up a two week recess. As they prepare to return to Washington next week, House Judiciary Committee Chairman Nadler (D-NY) has subpoenaed the Department of Justice to release the unredacted Mueller report. He also subpoenaed former White House Counsel Don McGahn this week to testify publicly on May 27 and provide documents related to the report. The President met with Twitter CEO Jack Dorsey on Tuesday in the Oval Office to discuss alleged anti-conservative bias on the social media platform. Coinciding with National Prescription Drug Take Back Day, they also discussed the role tech companies play in illegal online opioid sales amid calls from some lawmakers to further amend Section 230 of the Communications Decency Act to roll back liability protections for online platforms when it comes to those types of sales. On Tuesday, Secretary of Transportation Elaine Chao announced that the Federal Aviation Administration (FAA) issued an air carrier certificate to Wing Aviation, the first such certificate awarded for drone delivery operations. The FAA Reauthorization Act of 2018 directs the FAA to update its rules to authorize drone deliveries, but in the meantime, drone operators seeking to deliver goods for compensation or hire must go through the same certification process as manned charter aircraft operators, including obtaining exemption authority from some operational requirements and obtaining an airworthiness certificate for the unmanned aircraft. The Secretary also announced this week that the FAA’s commercial space office will be reorganized as the agency prepares to implement a new proposed rule to overhaul the launch and reentry licensing process (find more information on the proposed rule here). 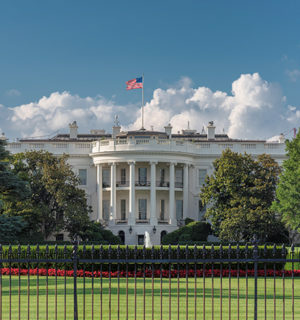 Gail Slater, a senior adviser to the President on technology, telecommunications, and cybersecurity policy, will leave the White House to join Fox Corporation in Washington, the company announced on Wednesday. In California, the Assembly Privacy and Consumer Protection Committee held a hearing on Tuesday on a number of bills to amend the California Privacy and Consumer Protection Act (CCPA). A bill offered by Assemblymember Wicks that carried several provisions championed by privacy advocates was pulled from the agenda. The House Judiciary Committee is planning a markup on the CREATES Act and pay-for-delay legislation. The date of the markup is to be announced. Last month, Judiciary Committee Chair Jerrold Nadler (D-NY) said he intended to introduce a bill to prohibit deals in which a brand drug maker pays a generic competitor to abandon a patent challenge, delaying their entry into the market. Rep. Nadler has not yet introduced the bill. The House Energy & Commerce Committee passed a version of the Creating and Restoring Equal Access to Equivalent Samples (CREATES) Act with bipartisan amendments earlier this month. On April 18, Reps. Jan Schakowsky (D-IL) and Francis Rooney (R-FL) reintroduced a bill that would require manufacturers to provide the Department of Health and Human Services (HHS) with advance notice and justification of price hikes on prescription drugs. The Fair Accountability and Innovative Research (FAIR) Drug Pricing Act of 2019 forces drug manufacturers to submit a pricing information and justification report to HHS at least 30 days in advance of drug price increases larger than 10 percent of the drug’s price over one year, or 25 percent over three years. On April 16, House Energy & Commerce Committee Chair Frank Pallone (D-NJ) and Rep. Donna Shalala (D-FL) introduced a bill allowing the Food and Drug Administration (FDA) to collect user fees for e-cigarettes, raise the minimum age to purchase tobacco to 21 and prohibit online sales of tobacco products. The bill also bans all characterizing tobacco product flavors, requiring the FDA to finalize rulemaking to implement graphic health warnings for cigarette packages, and holds all deemed tobacco products to the same advertising and sales requirements applied to combustible cigarettes. Monitor the bill here. On April 10, Reps. Raul Ruiz (D-CA), Larry Bucshon (R-IN), Ron Kind (D-WI) and Kenny Marchant (R-TX) reintroduced the Medicare Care Coordination Improvement Act of 2019 in the House. The bill provides to alternative pay models the same physician self-referral waivers that accountable care organizations were granted by the Affordable Care Act (ACA). The bill also gives providers working to develop a new demo for a better alternative payment model (APM) a three-year waiver. Moreover, the bill lets APMs and those testing potential APMs get around the Stark law’s volume or value prohibition. Congressional Delegations Travel to Argentina, Brazil and U.K. The House and Senate are in a two-week recess, set to return to Washington the week of April 29. In the meantime, a congressional delegation visited Argentina and Brazil this week for bilateral discussions on issues of mutual interest. House Minority Leader McCarthy (R-CA), House Armed Services Committee Ranking Member Thornberry (R-TX), House Homeland Security Committee Ranking Member Rogers (R-AL), as well as Senator Scott (R-SC), were among those who made the trip. Separately, Speaker Pelosi (D-CA) and House Ways and Means Committee Chairman Neal (D-MA) led a delegation to London for meetings with U.K. leaders to discuss issues ranging from Brexit to Northern Ireland and NATO. On the heels of last week’s House Democratic policy retreat, Speaker Pelosi (D-CA) said in an interview with Recode that Section 230 of the Communications Decency Act should be reexamined, suggesting that it is not out of the question that it may be done away with altogether. “It is a gift to them and I don’t think that they are treating it with the respect that they should…I do think that for the privilege of 230, there has to be a bigger sense of responsibility…and it is not out of the question that it could be removed,” she said. Before leaving Washington, Senators Blackburn (R-TN) and Baldwin (D-WI) introduced the Internet Exchange Act, which aims to improve access to the internet, especially in rural communities. Specifically, the bill authorizes the National Telecommunications and Information Administration (NTIA) to make matching grants to establish or expand internet exchanges in areas in which none or few exist. The President kicked off the week at a roundtable on the economy and tax in Burnsville, Minnesota. On Tuesday, he vetoed a joint resolution aimed at ending US support for Saudi-led forces engaged in Yemen’s civil war. Returning the measure to Congress, the President called the resolution “an unnecessary, dangerous attempt to weaken my constitutional authorities, endangering the lives of American citizens and brave service members, both today and in the future.” It is unlikely that Congress will be able to override the veto; the Senate adopted the measure 54-46, short of the two-thirds required. This morning, the Attorney General Bill Barr held a press conference alongside outgoing Deputy Attorney General Rod Rosenstein several hours before releasing a redacted version of the Mueller report to Congress and the public. The House Labor-HHS-Education subcommittee plans to mark up the Department of Education’s FY20 spending bill on April 30 with a tentative full committee markup scheduled for May 8. The House passed the CLASS Act for School Safety on April 1. The bill directs the Department of Homeland Security (DHS) to establish a council to coordinate activities, plans, and policies of the Department aimed at bolstering school security against acts of terrorism, an active shooter, and other threats. Both the House and the Senate will be in recess for the next two weeks and will return to Washington the week of April 29. During the recess, the House Administration Subcommittee on Elections will hold a series of field hearings on voting rights, including sessions in North Dakota and North Carolina. Looking further ahead, the Senate Armed Services Committee will begin marking up the FY20 National Defense Authorization Act (NDAA) the week of May 20. In the coming weeks, Senate Majority Leader McConnell (R-NY) and Speaker Pelosi (D-CA) will endeavor to reach a two-year deal on budget caps. Staff-level negotiations are likely to begin during the recess. After the recess, the House Energy and Commerce Committee is expected to hold a hearing on a potential federal privacy framework with testimony from the Federal Trade Commission.